I am spending the morning in Hexham hospital talking to nurses, doctors, midwives and many more. Greatly looking forward to to it. I have a school visit planned later in Prudhoe - second in two days as was at Bellingham Middle school yesterday - and will finish up with more surgeries and business visits in Ponteland later. I welcome the decision of Michael Gove to write to all schools in the country asking them to help protect girls from female genital mutilation (FGM). Schools will receive guidance before Easter, aimed at stopping "this very serious form of child abuse". FGM, sometimes called female circumcision, involves the cutting or cutting away of external female genital organs. Official figures put the number of victims of FGM in the UK at about 66,000, but this is thought to be an underestimate. It is a crime that my ultimate boss, Theresa May, has been pursuing very forcefully, but we need victims and others who know this is happening to come forward in order to secure convictions against this barabaric act against children. Michael made the announcement after meeting campaigners, including the Bristol student Fahma Mohamed, on Tuesday. Slowly but surely the PM is building an alliance of northern states: the Dutch, Germans and the Scandinavian countries – a modern ‘Northern Alliance’ of Euro Sensibles. Last week the PM had the Dutch PM to stay at Chequers and this week he hosts the German Leader. The Swedes, Dutch and the Germans All want EU Reform, and this is music to the PMs ears. The Low Pay Commission has recommended a 3% increase in the minimum wage to £6.50 an hour for adults. This is great news and what we have been campaigning on for some time. TUC General Secretary Frances O'Grady said: "This is a welcome increase in the minimum wage, which starts to recover some of the ground it has lost since 2008." Several employers' organisations, the EEF, the CBI and the Forum of Private Business also gave the recommendations a cautious welcome. Fascinating evening last night where I gacve a 20 m inute speech on the next steps for prison reform, and faced an intensive grilling from over 30 experts at a dinner in westminster. Everyone from prison governors to ex-prisoners, police officers, economists and academics were there. Good to discuss the proposals for academy prisons, prisons run by charities or faith based organisations + the idea that a prisoner has the choice of prison he or she goes, based upon the best possible outcome for rehabilitation. Now that would be a brave new world but we have done this in education, so I see no reason why the prinicple, in theory, at least, cannot be extended. A tiring but very interesting evening. Farming is perfectly placed to drive vital economic growth having proven its resilience through recession and dire weather events, according to an industry report published today. Agriculture’s contribution to the UK economy has increased by 54 per cent in five years and has injected an extra £8.6bn into the economy compared to the previous five years, the ‘Backing the Business of British Farming’ report by the National Farmers’ Union (NFU) claims. Hadrian's Wall - have you visited yet? It is not too late to book that break to God's Own Country! Richard Bunce, 32, from Ilkley in Yorkshire, beat thousands to win a commendation from the Garden Photographers’ Association. His picture of foxgloves at the Wall earned a place in the GPA’s gigantic coffee table book and shows just how stunning the county can be. Mr Bunce said: “I love the rugged and wild atmosphere of the Northumberland landscape. It’s very easy for your imagination to run wild as you roam through such an ancient and well-preserved environment. You feel a bit closer to everything – a bit closer to nature, closer to history. There’s the sense of all those people that have walked the paths and roads before. It’s amazing to think that you would have found foxgloves around this same area during the Roman occupation of the wall. The question you have to ask is this: Why have you not visited Hadrians Wall yet? Why can’t we have an "Academy" Prison run by a Charity, Academy institution or a Community? Prison does work. It locks people up so that the prisoner cannot then commit a crime: yet prison for years has failed to change the prisoner’s behaviour. Despite multiple new laws, and successive politicians passing tougher and tougher sentences, the prisoners still reoffend upon release in their tens of thousands. - and one in five prisoners who take drugs say they took them for the first time in prison. You do not need to be a fan of the film The Shawshank Redemption to know that traditional prisons are ill-adapted to the modern world and a desire for rehabilitation, with rehab facilities squeezed like a quart into a pint pot. There is ample evidence, however, to show that prisons that provide for activities, training and opportunities for rehabilitation, have much fewer problems on their wings, and are much less likely to suffer with riots and unrest than those where prisoners are locked up 23 hours a day, in cramped cells, with no opportunity to change their behaviour. Now is the time to think Radical! - If Hospitals can be transformed by Foundation status, then why not a prison? - If educational charities can transform schools why cannot they do the same for prisons? Look at the amazing Excelsior Academy in Newcastle - this has transformed a school and an area. As Charities like Absolute Return for Kids [ARK] or the Harris Foundation run state comprehensive schools open to all, then why could they not run a prison? - why cannot a philanthropic charity, with by and large altruistic motives, take on the responsibility? In truth, there is no reason why these things could not happen. It’s just that no one has ever really tried before, even though inside prisons there are thousands of not for profit organisations working and producing real results. Imagine a prison run not by the public sector, or for profit. To misquote a dodgy former Prime Minister [Blair] there just might be “a third way” to run a prison, in the community, by the community, and for those from that community who have fallen by the wayside. Clearly this is not possible for a Category A top security prison but for the lower grade prisons it is more than possible. For anyone who has spent time in prisons, the lack of innovative thought and specific engagement with the prisoner is striking. I accept that there are honourable exceptions, but I would still like to see a ‘Foundation Prison’. More particularly, I would like to see prisons incentivised to change the prisoners behaviour: a start would be a category D or C prison for lower risk prisoners. There are admittedly problems raising capital on a not for profit format but it is not impossible. There are some outstanding examples of charities showing us how to rehabilitate our prisoners. The St Giles Trust “Through the Gates” programme offers prisoners housing, education, training and the silver bullet of prisoner rehabilitation – employment. Why does it not run a prison? Similarly the Shannon Turst is another institution that is leading the way on reform and is capable of taking the next strep of running a prison. For those who want to know more on my ideas, my book, Doing Time - Prisons in the 21st Centruy - is still available in the shops or on Amazon [If you must, but they are putting bookshops out of business]. All proceeds go to the NHS charity that helps brain tumour sufferers and funds research. Better Together is a phrase with meaning: much to the embarrassment of the SNP which regards the North East of Scotland as its heartland, a poll appeared in Aberdeen's Press and Journal yesterday which has support for No in the region at 65 per cent with just 17 per cent backing Yes. •delivery of a firm but fair package of sentencing and criminal law reforms that properly punish serious and repeat offenders and better protect victims and the public. •making criminals pay towards the cost of their court cases. There are also reforms of judicial review to tackle unmeritorious claims and unnecessary delays to the system. •putting education at the heart of youth custody, giving young offenders the tools they need to turn their backs on crime. •modernising the law to tackle the influence of the internet on trials by jury to ensure defendants receive a fair trial, reflecting how technology and the wealth of information available at the touch of a button has changed the way we live. We are also increasing the upper age limit for jurors from 70-75 and so harness the knowledge and life experiences of a group of people who can offer significant benefits to the court process. UPDATE: My debate is found here: http://www.theyworkforyou.com/debates/?id=2014-02-24a.47.0&s=speaker%3A24962#g77.0 and includes extensive questioning of the former Justice Minister, Nick Herbert, MP, and Sir Alan Beith, MP, Chair of the Justice Select Committee .... but in particular with the Chair of the Home Affairs Select Committee, Keith Vaz, on everything from Hexham Magistrates to my book Doing Time. 2 Cabinets meet in Aberdeen, but 1 question is raised: how best to extract the declining oil? How times change. The UK cabinet did meet in Scotland, in 1921 - when Winston Churchill was the Colonial Secretary, and a Liberal MP for Dundee; Churchill had won Dundee in a by election in 1908, and held the seat, as a liberal, until 1922. Nowadays people regard Churchill as a typical Conservative. Yet he was a liberal conservative to his core. In my view a traditional liberal and a one nation conservative are very close beasts in the political jungle. The irony is that dundee is now a SNP town and Aberdeen - where the can just are going is the heart of oil and gas territory. There are still undeveloped oil and gas fields in the North Sea, but extraction from them is mostly technically difficult and expensive. Oil companies may well require generous tax breaks to make production worthwhile. Meanwhile there is the high cost of decommissioning exhausted fields to be taken into consideration. Last month I met with many of the key Scottish oil and gas players at a private meeting and listened to them making the case passionately for the union. They wanted a long term future, but made the case that there are other places to invest for their global companies. - the success of the subsea sector, which is so strong in Tynedale with local companies like PDL, Red Marine, and IHC Engineering Business in stocksfield. All of this is giving work and business to our people in Tynedale and Ponteland. This matters. These companies depend on a thriving oil and gas sector. The question is what is the best framework for these companies to work under. The PM will be arguing today for the need “to use the UK’s broad shoulders to invest” in the future of “this vital industry”. Only the greater resources of Britain can, he says, “maximise the benefits” of the North Sea for all of us, and especially for “communities and families across Scotland”. His assertion is given substance by a report from Sir Ian Wood, former head of the Wood Group, the oil and gas engineering company, for the Department of Energy and Climate Change. This argues that government and industry must work more closely together if the huge potential that the North Sea continues to offer is to be realised. The implication, whether openly stated or not, is that the greater resources of the British state are needed for success, while those of an independent Scotland would be inadequate. industry. He is a great man, and his vision is both bold and wise. Most importantly, he is a true Scot. Today will be am interesting day. I am sure 90 years on Churchill will be looking down and shaking his head in wonder that the country he represented, and helped guide through two world wars, is thinking of throwing it it all away. I am only in London till Wednesday night so I will miss the chance to meet Angela Merkel, who is coming to the Houses of Parliament on Thursday. This is a shame, because I have long wanted to meet her, but over 4 months ago I committed to spending this coming Thursday in Bellingham, visiting local businesses, meeting with the local Deanery, and spending some time with Susan, the wonderful local vicar. I am really looking forward to getting back to the Upper North Tyne. Monday of this week I have various meetings and constituency phone calls, then the Crime and Courts Bill, in the commons, and we will be sitting late until 10.30; on Tuesday I have a health question on midwife led maternity care at health questions at 2.30. Tuesday evening I am looking forward to speaking at a dinner for the Institute for economic affairs (IEA) on "Big Society Prisons", discussing the next steps on prison reform, as broadly set out in my book, Doing Time - Prisons in the 21st Century. On Wednesday I am having a tele conference with rob Stewart of the Alzheimer's Society in the morning then there is the usual opposition day debate in the afternoon. When that finishes I will be cycling hard to see if I can make the 8pm train to Kings Cross and home in Hexham shortly before midnight. In January 2011 the conflict that is now known as the Syrian civil war began to take shape, as the aftershocks from the Arab Spring erupted in Syria. Ever since 2011 this beautiful country has been a war zone, with Assad’s regime, backed by Russia and Iran, fighting both the moderate Free Syrian Army and the extremists. On any interpretation, the conflict has spiralled out of control. During these last 3 years I have met with concerned local groups in Tynedale and listened to the efforts of the churches here as they both pray and give support to the oppressed in Syria. I was particularly touched by the efforts of the Methodist Church in Hexham; when I visited the Methodist Church last year, I was struck by their campaign to highlight the conflict and the people who are so affected; I still have one of their plastic wristbands, created in the shape of barbed wire. And the numbers of people affected and displaced in Syria is truly horrifying. Aside from the 125,000 people killed in the conflict, there are now over 2 million Syrian refugees, primarily housed in camps on the Syrian borders with Turkey, Lebanon and Jordan. Patiently these people are waiting for the world to find a diplomatic solution to the conflict so that they can go home. In the meantime, they live a difficult existence, deprived of their homeland and unsure of their future. Into this chaos the British people have provided great assistance. It is something that I am very proud of. We should be proud of the fact that Britain has provided over £600 million of support; this makes us the second largest humanitarian donor, behind only the USA. We have provided food for 188,000 people, clean water for almost a million and medical consultations for almost a quarter of a million. But it is equally important for local residents to be sure that this money and assistance is going to the right people. For too long international aid was synonymous with corruption and misappropriated funds. To find out how this money is being spent I travelled, with colleagues and the wonderful team behind Project Maja, to the Nizip 2 refugee camp on the Syrian Turkish border last month. This camp is one of the places where British food and support has been given. I was really impressed at the way aid was distributed and satisfied it was going to people who really deserved and needed it. I listened as one female refugee told me how pro-Assad militiamen tortured her husband to death in the mosque, having turned on the muezzin’s speakers so that the entire village should hear his screams. Others described how they had left family members behind, some dead, some wounded, with many having family members who had simply disappeared. The horrors of Syria are literally unthinkable. Every one of the three days I spent in the camps I was struck by the enormity and ferocity of the conflict. The experience was humbling. But amidst all of this the refugees I met were determined to be strong and retain their lives. They welcomed the support the UK had given. the thousands of adults or children. Along with other colleagues we set about changing that. 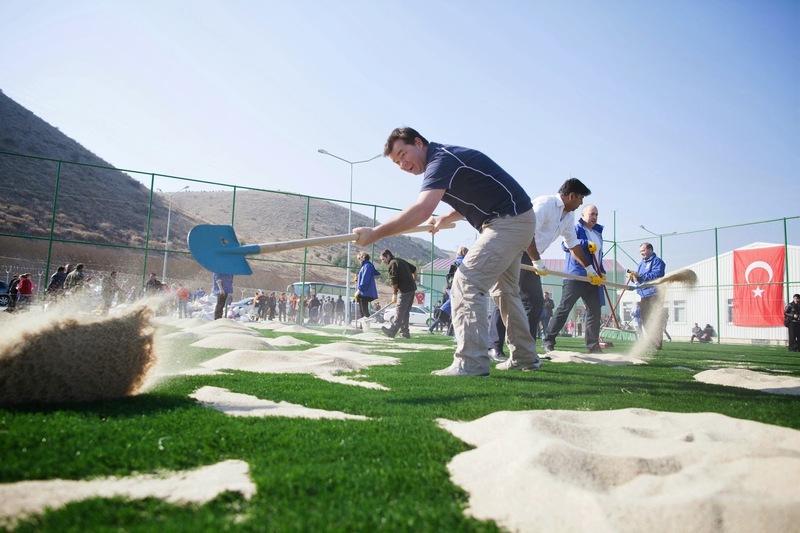 Aside from distributing toys and clothes to young and old our biggest contribution was the building of an Astroturf football pitch, which we finished in time to have an inaugural game (the Syrian refugees beat the European helpers 5-4). Pictures of us building the pitch, and then celebrating the refugees win are set out below. 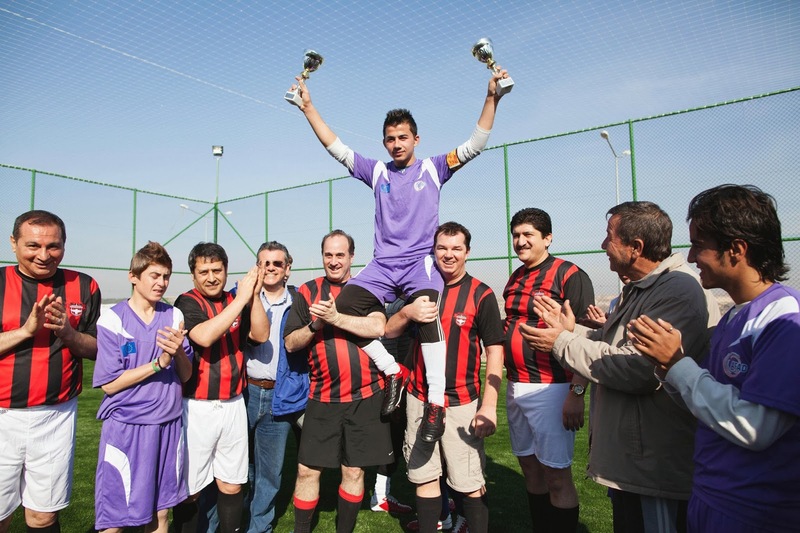 We lost even though we had the former Captain of the Turkish Football Team playing on our team! for the camp to come together to play, to forget their troubles, and allow the power of sport to work its magic. Indeed, for many of the kids in the camp they believed that football was the only way out. Although they were traumatized by the past all were grateful for their present, their security, and hopeful of their future. and will "prioritise help for survivors of torture and women and children in need of medical care". I will never forget the experience of the refugee camp I visited. I am eternally grateful to the taxpayers, local people and churches of Tynedale who have played their part in alleviating the suffering of these people. I remain convinced that local community banks are the solution to the problem and the disconnect between the London based banks and their rural customer. The Courant have done a really good article which is worth reading on the subject. Yesterday saw Northumberland's Labour Administration push through there budget since taking control in May. The budget was as predictable as it is regrettable. Labour have hiked Council tax at the first opportunity they could, turning down government funding of £1.6m to freeze council tax. Rather than freezing it like 70% of Councils, including Newcastle, Sunderland, Carlise and Cumbria. Instead Northumberland's Labour Administration cynically hiked it by the maximum the rules allow, before having to let people have their say in a local referendum. There are some welcome savings, but no mention of trimming generous senior staff travel expenses or the huge cost of maintaining empty commercial property. Not to mention their plans to double the Council's debt to a massive £593million over the next four years. Overall this is a budget which means my constituency will suffer as victims of Labour’s political games. From building on our greenbelt to selling off our bus station, this is a Labour Administration which is letting Tynedale and Ponteland down. It only adds insult to injury for them to now also hike council tax by the maximum amount possible. My old Trainer Tim Reed continues to train successfully just down from Housesteads on Hadrians Wall, and when I get back to fitness, and a bit closer to jockey weight, I will be back riding out there. In addition, there are many other local trainers, particularly of Point To Points, who should be supported. If you have not been to a point to point you must go. They are exciting, full of thrills and spills, and fun for all the family. 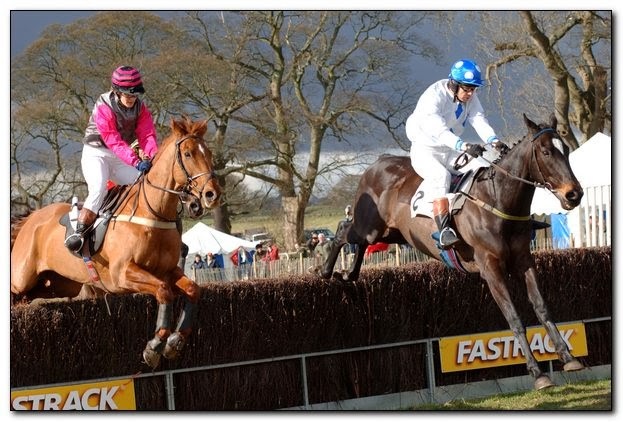 I shall definitely be racing on Sunday March 2nd at the Tynedale Point to Point - just 3 miles north of Corbridge. I rode my last winner there and will one day ride another one. But until then I shall be an enthusiastic spectator. Northumbria Police has confirmed plans to sell off it's Ponteland HQ for housing. The force has said it is hopeful the sale of the site for housing will free up pressure on the green belt. I am proud to stand shoulder to shoulder with local residents fighting Labour's plans to build on our greenbelt in places like Ponteland and Hexham. I will never apologise for fighting to preserve large swathes of our green and open countryside for future generations. However that is not to say that we, or I, am against development of appropriate housing. I have, for a long time, backed wholeheartedly the plans for housing at the old Ponteland Police Headquarters site, which will provide hundreds of homes, and I continue to do so. I have also campaigned for the several hundred more homes being built to a very high standard by Bellway, at the Stannington Hospital site. - and working with, not against, local communities. Three features, which I am afraid to say, are largely missing from Northumberland County Council's current draft Local Development plan. 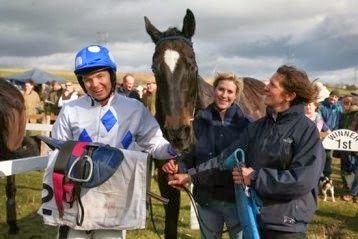 "Guy Opperman, the former barrister and amateur jockey has been unanimously re-selected by Hexham Conservative Association as their prospective candidate to defend his 5,700 majority. Since being elected in 2010, Mr Opperman has built up an enviable reputation as an energetic and committed MP who has visited and taken up issues in just about every town and village in his 1,000 square mile constituency. Speaking after his re-selection Mr Opperman said: “It has been a real honour to serve as Hexham’s local MP for the last four years. 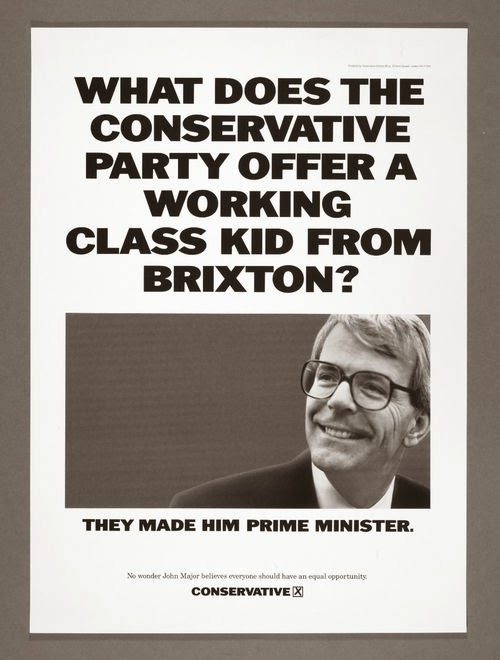 He is proud of the fact that he has always been his own man and not afraid to oppose the Tory party line. He said: “When the Government has got it wrong, like considering regional pay for the public sector, or selling off our forests, I have been the first to stand up and say so. Mr Opperman hit the national headlines in April 2011 when he collapsed in the House of Commons after suffering severe headaches and was diagnosed with a brain tumour. He was rushed to hospital and underwent emergency surgery and has now made a full a recovery. He acknowledges his “incredible debt” to the National Health Service which saved his life and is a leading champion of the NHS in Parliament. The letter includes the following: "I am aware of the urgent need to address the condition of the existing buildings at the school, and the school's inclusion in the Priority School Rebuilding Programme, as confirmed in 2012. I am pleased to tell you that my department and I fully support the school's improvement, and will continue to work closely with governors and all staff to ensure the parents and pupils of Prudhoe have access to the best education we can provide." Gove assures us that the rebuilding programme will be proceeding. So farewell KP - but my guess is that you have not played your last Test! KP is clearly both a genius and possessing an ego the size of Mount Etna. But managing such individuals is part of team management. It is about finding a place for the talent within the team. Anyone who has played any team game will know that any team is a collection of individuals and mavericks. So this is one cricket lover who is hoping that KP scores a hatful of runs this season and then is recalled. After all, if he tops the averages this summer are they really going to leave our best batsman out? PS For my part, if they will have me I shall be turning out for Allendale a couple of times this season. I bear no resemblance to KP! The Chancellor could not have been clearer in Scotland today. There is and never will be any "legal reason" - or any other reason, why the rest of the UK would want to share sterling with an independent Scotland, as Scottish ministers have proposed. This analysis was backed by Labour and the Liberal Democrats. What the currency will be Lord knows, and the SNP certainly do not. I have just taken part in the rowdiest Westminster hall debate in nearly 4 years in parliament. The issue was Currency in Scotland after 2014. The SNP members of parliament in London resorted to bullying and attempts to shout down any speaker they do not agree with. I will post the full debate for anyone to see, but on currency the SNP/ Salmond is all over the place. They want to keep the pound but want it underwritten by the rest of the UK, with an independent Scotland still in charge of everything else. As Pete Wishart, SNP MP muttered today during the debate: “After independence we will do exactly what we like.” Fine – that is his choice – but he will need agreements from the rest of the UK. It does seems odd that the SNP think a Westminster establishment which they assert is incorrigibly hostile to Scotland [which it is not - we want them to stay] will suddenly accede to Scottish demands after independence. But let me be clear: the idea, much insisted upon by Alex Salmond, that an independent Scotland could enter a currency union with the remaining parts of the United Kingdom, solely on Scotlands terms, is simply not happening. Noone in the British government would agree. So now Scotland says it is being bullied? Where does the right appear to determine alone the outcome of post-independence negotiations between two parties – Soctland and the rest of the UK? The other party [ie the rest of the UK] has a right to its opinion too. Again: according to the Scottish government: “No one will credibly believe these threats. “It seems the Scottish Government’s response to not being allowed to participate in a formal sterling zone, which as we have shown would actually be ruinous for an independent Scotland, is to say that it would not accept responsibility of its fair share of rUK liabilities and particularly its fair share of UK public debt. Presumably in that case it would not be given the share of assets relating to the sterling monetary union, such as, crucially, its share of the foreign exchange reserves held at the Bank of England. How then would they be able to operate a sensible foreign exchange rate policy absent foreign exchange reserves? Where would these come from? Perhaps the answer would be by borrowing from foreign countries. Moreover, the Scottish government’s expectation that, having been rejected by the Scots, the rest of the UK will, far from smarting at this rejection, do everything they can to help the Scots on their way out the door is, shall we say, an expectation that defies the accumulated evidence of a million marriage break-ups. Education questions are today and I will be trying to catch the speakers eye. I also have meetings today and on Wednesday on our campaign to support credit unions locally and create a local community bank. At some stage tomorrow evening / late pm there is a debate on smoking in cars. I will listen to the debate before deciding, but I have a provisional view to support the ban on smoking in cars carrying children, albeit I see the difficulty in enforcing the matter, from the police's point of view. To be honest we will need to hear from government ministers on the point as to the practicalities, but it seems a good idea in principle. Monday will be the usual late night 10.30pm finish. Tuesday I am meeting Boris Johnson with a group of fellow MPs in the house of commons, and have an opposition day debate on a subject to be announced. Wednesday I am hoping to get in to speak in the 2.30 debate in Westminster hall on Currency in Scotland if there were a successful independence vote. Thursday will be a correspondence and casework day trying to catch up on all letters, emails and requests for assistance. I have been much impressed by the appointment of Sir David Higgins to project manage HS2. Higgins also says ‘the clock is always ticking’ and political dithering remains the greatest threat to the project. While the Conservative leadership are ‘passionate’ about the line, he is less convinced about Labour. As well as a concern HS2 is a ‘vanity project’ — albeit one they founded — Labour’s main worry is whether HS2 will be a waste of money and time. ‘They’re behind it but they want to be convinced that it will be managed responsibly’, said Higgins who thinks these are ‘legitimate questions’. How strongly Labour believes in the project will soon be tested. The response from Ed Balls and Miliband on Higgins’ first report, due out in March, will be a crucial indicator of whether Labour’s support will continue through to the general election. The Hybrid Bill is currently awaiting a second reading in the Commons — something the advocates of the line want to see soon. But there is still a lot of doubt of whether the bill will be passed before the election. Higgins is right: the longer we dither, the less chance there is of HS2 actually happening. Today I have surgeries, a visit to a local business, and am also visiting Wylam First School. Later this afternoon I am popping in to see Andy Bates, who has started his new leatherwork course in Hexham with Northumberland College. On Saturday I have a number of meetings and then will be knocking on doors in Prudhoe from noon onwards. If you want to come and join me knocking on doors we will be meeting in the Dr Syntax Pub, in Prudhoe. Tonight I will walk from Westminster to Kings Cross, to take the train home to Northumberland - for my part I like the exercise, albeit it is raining in London, and I have a bag to carry! Others are not so lucky, and this strike is clearly affecting jobs, peoples day to day lives, and the viability of the UK and London economy. Over the last day and a half I have seen how much this strike is damaging the London and UK economy. I wholeheartedly support trade unions. I have also spent a large amount of my working life as a lawyer representing employees, and I have seen the positive side of constructive trade union work. 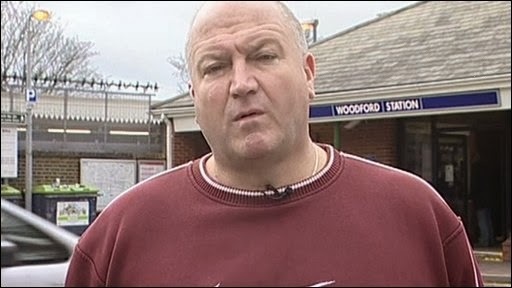 But, on any interpretation, I struggle to see the merit of the Tube Strike called by Bob Crow. Others have had a dig at Crow's decision to go on holiday. I do not mind that. Everyone is entitled to a holiday. Nor am I going to point out that he earns more than the Prime Minister, yet continues to live in a council house, as a reason why the strike action is wrong - such matters are an issue for his union members, and local authority. I am not even going to have a dig at the Labour party for not condemning this farce, albeit the braver Labour MPs have done so. This strike is about the threat of redundancy from staff, who will lose their jobs because of ticket office closures and mechanisations. The reason is simple: at most tube stations now there is no need of personnel to dispense tickets. Machines and computers can do the job, and cost far far less - thereby reducing the cost of the fare / cost of living. The irony of the Labour campaign on this issue seems lost on Crow and the Labour party. The strike by Crow is his attempt at saying the world is not automating - its like Canute holding back the oncoming tide. The world and the economy changes - that is a fact of life. We have to adapt. Also, the strike is costing in excess of £100 million a day, in lost work, production and output in the South East. In the North East, I can point out that the Metro ticket offices are effectively unmanned. There are job losses involved in the decision by Boris Johnson, but there are no compulsory redundancies. Her point was that the sectional interests of one group of workers should not trump the general wellbeing – something for which Mr Crow has shown little consideration. This strike is not progress, or a workers struggle. It also reflects badly on the good work trade unions do, and loses them sympathy for the real fights that really matter. APD and how to get new transatlantic routes to Newcastle? All taxes have an effect on businesses and their growth potential. Yet without taxes we have no money for schools, hospitals and other government services. Thus we try to impose the minimum taxes to get the maximum return. Yet it still remains the case that we need to generate more revenue for the state and stop spending as much - the impacts of the recession, the massive debts built up under the last government, and the need to live within our means requires the state to put a tax on flights. This is Air Passenger Duty or APD for short. We all pay it, when we fly, and the Treasury see it as a good income stream. Into this argument comes the problem of new entrants to the market, and the desire to secure long haul major flights to key destinations like Beijing and America from regional airports. Clearly I am interested in standing up for Newcastle Airport, part of which is in the Hexham constituency, and for whom many of my constituents work, in some shape or form. It is a great airport, well run, and clever at diversifying its base. I know it pretty well having seen it from every which way these last few years. Recently I met once again with the airport team, and some of their commercial clients. For many years Newcastle Airport has been looking to attract a transatlantic flight. This would cost an airline a lot of money. But the APD is a genuine hurdle and barrier to entry. Consequently we have looked at reductions in APD, but the treasury are understandably reluctant, until the economy really picks up. A lower tax for the regions and a higher one for London and the south east was shown to be unworkable in the grand scheme of things. So now we are looking at a regional APD tax holiday - just as we give tax breaks to new businesses and start ups. The principle is the same - you get hypothetically a 2 year tax holiday to establish your business - in this case a new route: the details are fairly complicated. I am keen to put the case to Treasury, and as a result I have asked for a debate in the House of Commons. I shall be addressing the business case, the radius of what constitutes a regional airport, the case for the entry criteria to be a proper long haul flight (not a 2 hour hop to Majorca) and what constitutes a new route. I will also be address the comments of the Davies report on Heathrow and the south east airport issue. Salmond's campaign amounts to this. He wants the Scots to vote for independence, cry freedom and all that. Then, having told the English to get lost, he will the morning after the result pop up demanding negotiations with the remaining bits of the UK. He wants to leave, and then stay. Having scrapped the Union, he will be seeking another union. The Nationalist assumption is that the snubbed English (more than 90 per cent of RUK) will play along sweetly, perhaps in return for Salmond allowing Trident to remain on Scottish soil, which would drive many anti-nuclear Nats nuts. He also wants a currency union in which he will set about aggressively lowering corporation tax to try and remove jobs from England. What is in it for the English taxpayer? Not much. Man Flu is no myth! Amazing news for the male species, as proved by science! As someone who suffers regularly from man flu I find this a very reassuring article. In my case, I have no spleen as it was kicked out of me by a falling three mile chaser in a race at Stratrford, so I am more prone to what women seem only to refer to as a cold. This research - by Cambridge University no less! - will reassure all men that we are not faking it when we confess to man flu. Parliament is forcing Ministers to announce an inquiry into a fuel bill rip-off which means some customers are getting charged up to £400 more than others. Its seems unfair to me that there is a system which means customers are charged extra if they don’t pay by direct debit. What to do with the Prudhoe Hospital site? 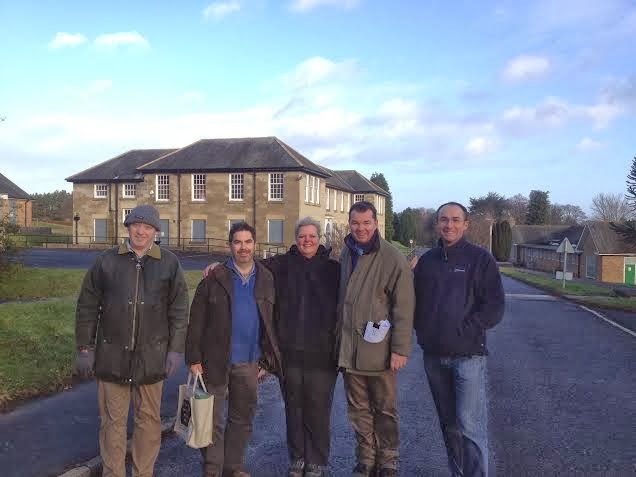 At Prudhoe Hospital site last weekend, with Robert Forsythe, Paul Muto, Claudia Smit, Philip Hindmarsh and myself: we spent 2 hours going round the vast Prudhoe Hospital site. With me were various of the local residents who are interested in the site for many reasons. I stress that our motley crew is not an exclusive list - just people passionate about how this site is to be treated in the future and willing to take on a very chilly Saturday morning! - what is the proposed housing mix? - can any of the present buildings be used on an ongoing basis? - have ISOS or other housing providers been offered any of the sites? - whether the Walled Garden can be preserved for community use, rather than sold off? - how the proposed building scheme will dovetail with the objectives of the local woodland groups? - what is the prosposed transport plan, in particular bus routes? - what is the fate and potential usage of the pavilion style building - correctly compared to Bexhill's De La Warr pavilion? And generally a request that that these 2 key partners in the development of a massive site sit down with the MP, and local people, and give answers to a number of questions that are as yet unresolved. Today in the Commons we are debating the Deregulation Bill, full of measures designed to make it easier to run a business. I also have meetings this week with English Tourism, to help promote Northumberland tourism, and later this week I hope to have discussion meetings on both planning policy in the national parks, and legal aid changes. Scotland features heavily this week in the house as we have Scottish questions at 11.30 Wednesday and a Scottish debate in the house Thursday. Finally, on Thursday I am also meeting officials and colleagues to discuss our campaign to change the funding formula for education in Northumberland, and other rural counties. I am travelling north Thursday evening on the 7pm train, with a packed diary Friday and Saturday. Should Newcastle Council be allowed to build on the Ponteland Greenbelt? “The green belt is a Labour achievement, and we intend to build on it,” is one of the great John Prescottisms of all time. Ed Miliband has adopted the same approach: in December, in a speech he gave on Monday December 16 in Stevenage, he said that the neighbouring North Hertfordshire Council’s objection to building on the green belt should be brushed aside. This is like Newcastle Council saying we want to build on Northumberland's green belt. In where? I don't know, Ponteland perhaps? But I believe he is wrong: these are decisions that should be made in Northumberland or N Hertfordshire, not by Mr Miliband, or by the neighbouring town. “Under Labour, housebuilding fell to its lowest peacetime rate since the 1920s. Their top-down Regional Strategies and eco-towns failed hardworking families who aspired to own their own home, building nothing but resentment. “That’s why we have worked with local communities to help build more homes, scrapping Regional Strategies and rewarding construction via the New Homes Bonus. We are helping hardworking people up the housing ladder through Help to Buy and the reinvigorated Right to Buy. Both first time buyers and housing construction have risen to their highest level since 2007, whilst repossessions have plummeted thanks to the lower interest rates from our long term economic plan. It’s not just Mr Pickles attacking Labour on housing. The Labour MP, and former Housing Minister, John Healey is joining in. He says Labour is “preoccupied elsewhere” when it comes to making housing more affordable. My only comment is that it is bad enough that Northumberland County Council is trying to build on our green belt. At least we have a democractic say, and a chance to influence the local authority. Under Miliband's plan, released in Stevenage before Christmas, it would be the neighbouring council that decided if we had building on our green belt. Of course, this means that my residents inNorthumberland would have no chance to object or disagree if this is what Newcastle or Miliband wants to happen. This is not socialism: it's borderline madness! Hexham has a rich history of tanning and leatherwork, dating back over a thousand years. The craftsmanship, cattle and ready supply of running water made Hexham world renowned down the ages. In 1823, for example, over 200,000 pairs of gloves were made in the town. Now Andy Bates, master craftsman, and one of our former policemen, has combined with Northumberland College to launch a new Leatherwork course in Hexham. The Certificate in Creative Leather Work will be taught at the college’s Hexham Centre on St. Mary’s Wynd from February. Andy has been making bespoke, hand-stitched leathergoods, pieces for TV and film and historical reconstructions for 30 years and in 2013 he was shortlisted for the national Craft Skills Awards for his teaching work. Amongst many others, Andy has made pieces for the Turner Prize-winning potter Grayson Perry, for the Lindisfarne Gospels exhibition in Durham, for the Discovery Channel and Channel 4 and for the Grange Park Opera. Andy has also been commissioned by Bloomsbury to write the definitive book on leather and working with leather. For more details of the Hexham history of tanning see here: http://www.visithexham.net/history-heritage-leather.htm. When you visit you can always pop in to the Old Tannery Pub on Gilesgate! For my part I will be dropping in on Andy and seeing the work they are doing next Friday February 7th at around 2pm. Iran as a working friend, and not as an active enemy, is the key to Middle Eastern Peace. Last week, the very fact that the Iranian President Hassan Rouhani was in Davos, at the world economic forum, and saying Iran was open for business, was the most important world story for a very long time. It's the first time in ten years that an Iranian president has attended the World Economic Forum and he came with a message: Iran is ready to engage with the rest of the world, and he wants his country to become one of the ten global economies. It is also very good news for greater peace and a resolution of conflict in the Middle East. Mr Rouhani said he intended to remove “all political and economic impediments to growth” in Iran and that one of his priorities was “constructive engagement” with the world, including through the use of its oil and gas reserves. “Only through co-operation and engagement can we provide a better life for our people and make peace sustainable,” he said. For its part, Iran intends to “reopen trade, industrial and economic relations with all of our neighbours”, he said, identifying Turkey, Iraq, Russia, Pakistan, Afghanistan, the states of the Gulf and Central Asia. Clearly the presence of Iran back in to the fold of oil producing countries that we can do business with would have a seriously good positive impact on the price of oil - and more importantly the cost of energy and petrol - that we in Northumberland, and the wider west, consume. It is clear that business leaders from all over the world are beginning to go to Tehran in the coming months. Again this is a potential new market for British Exporters who are keen to sell their wares. This potential for new business for Irtan is linked to its decision to back off its possible nuclear programme, and its decision to engage with the west and not seek out confrontation. It is the most important sea change in world affairs for a very long time, and very good news. It is also clear that Rouhani will have a huge impact on the Syrian conflict, as his more recent pronouncements have shown. My colleague and friend Rory Stewart MP has been very active with the community of Alston, and the Border counties of south west Northumberland, North West Durham, and Eastern Cumbria to help the local community retain their community ambulance. Huge congratulations to him and all the locals who make such a difference, particularly Dr Malcolm Forster. It has long been my hope that in Bellingham and the Scottish border country we could try and create a similarly successful model by using the firemen, police officers and community paramedics in a similar way to ensure the upper north Tyne has cover. I had further discussions on this issue with fire brigade chiefs last week and we continue to look at whether we can solve the problem with the work to increase co-responding and use of alternative vehicles and semi qualified support.